It’s hard to beat the Avenger-on-Avenger action in Captain America: Civil War, with the dramatic introduction into the Marvel Cinematic Universe of Spider-Man (Tom Holland) during the airport battle and the “ripped from the pages of the comic book” showdown between Captain America (Chris Evans) and Iron Man (Robert Downey, Jr.), it’s one of the best superhero spectacles to date. Still, we think that the grittier, Jason Bourne-on-steroids action in Captain America: Winter Soldier is by far the more exhilarating joyride. 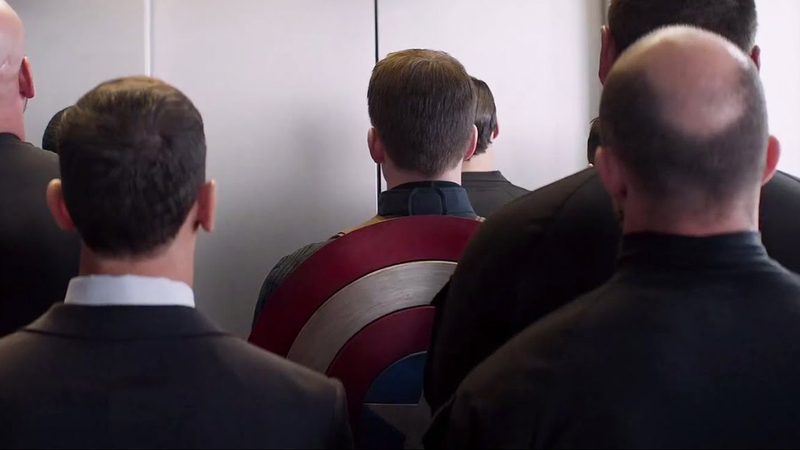 From the initial fracas with Batroc (Georges St-Pierre), to the frequent battles against the Winter Soldier (Sebastian Stan), the sequel to The Last Avenger is bursting with frenetic violence, but the one scene that makes us grin-and-wince just thinking about it is the elevator scene in which Hydra’s infiltration of SHIELD reveals itself and Cap (Chris Evans) finds himself surrounded in a cramped elevator with trained killers. The action is fast and furious and it’s likely that more than a few bruises were earned in filming the sequence. But, if you think that the actor stepped aside to let stuntmen do all of the hard work, think again; in a series of short behind-the-scenes videos from the set of The Winter Soldier, Evans proves that he has the moves to play Captain America himself. See Chris Evans in action as Captain America in Avengers: Infinity War, now in theaters! I like to see actors doing as much of their own stunts as they can. Dedication and realism.